When you think about technology, you typically picture kids and young adults as the main consumers and users. Seniors aren’t typically thought of as regular users of modern technology. While this is true for some, overall, this stereotype is not very accurate. There are many seniors who know how to utilize modern technology and apps. 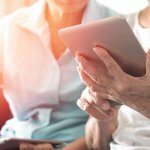 There are also many companies who are coming out with new pieces of technology and applications specifically targeted at seniors that are more user-friendly and better adapted to fit their specific needs. Below is a list of a few newer pieces of technology and apps aimed towards seniors! Breezie is “a tablet interface proven to engage seniors irrespective of their technical capabilities. It runs on an open platform that allows senior care providers to deliver better care at lower costs.” Breezie can be personalized to show each individuals’ own health information, schedule alerts to help seniors self-monitor, assist with home health care via telehealth software, facilitate ordering services like groceries or transportation to increase independence, and use simplified social functions such as address books and emails to help keep seniors in touch with their friends and families. There are also many apps seniors can download to help keep their mental agility high using the Breezie tablet. The Jitterbug Smart by GreatCall is one of the simplest smartphones available and it is equipped with GreatCall’s biggest screen ever. There are many functions that make it easy for seniors to use such as mobile Internet access which allows users to have access to the Internet from anywhere, a simple menu that makes the device more intuitive and user friendly, simplistic voice typing which allows users to write texts and emails more easily by bypassing the touchscreen, and an easy-to-read usage meter that helps users track their minutes, texts, and data. The Jitterbug Touch also offers a 5Star Urgent Response App to allow users to get help in an emergency. The grandPad is a tablet that helps seniors stay connected with their loved ones in a simpler way than a regular tablet would allow. It features large buttons and an intuitive interface that makes it extremely user-friendly. 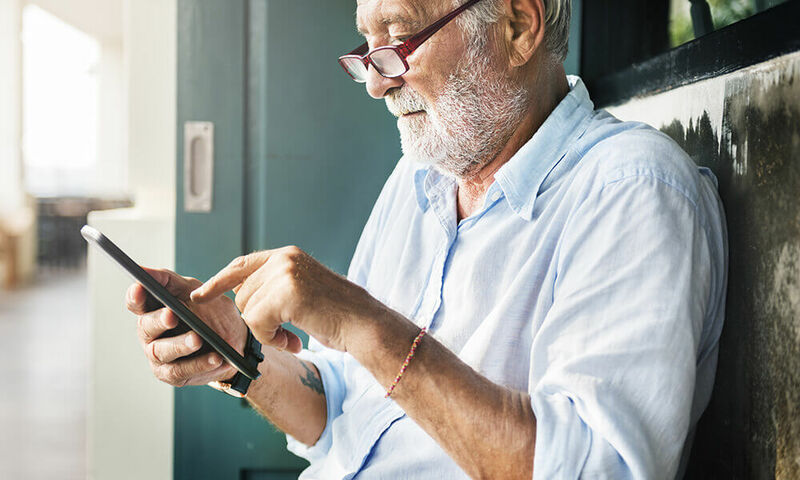 With this device, you can also get a grandPad subscription: a comprehensive service for seniors full of senior-friendly accessories such as a smart case to protect the device, charging cradle to eliminate the use of wires, and a durable stylus to help interact with the touchscreen. There are essential communication apps already installed on the grandPad, but you can also download other apps to play games and customize music. The subscription also allows you to have a private family network where you can update phone numbers and contacts from a web portal or the companion app which helps families all stay connected. The grandPad also comes with built-in LTE connection so seniors can stay connected with their loved ones wherever they go. Next time, we’ll explore more pieces of technology and apps aimed towards seniors! What other technology do you know of that’s senior-friendly? Let us know in the comments! If your loved one is a tech junkie in need of assisted living, contact the Waterford today. 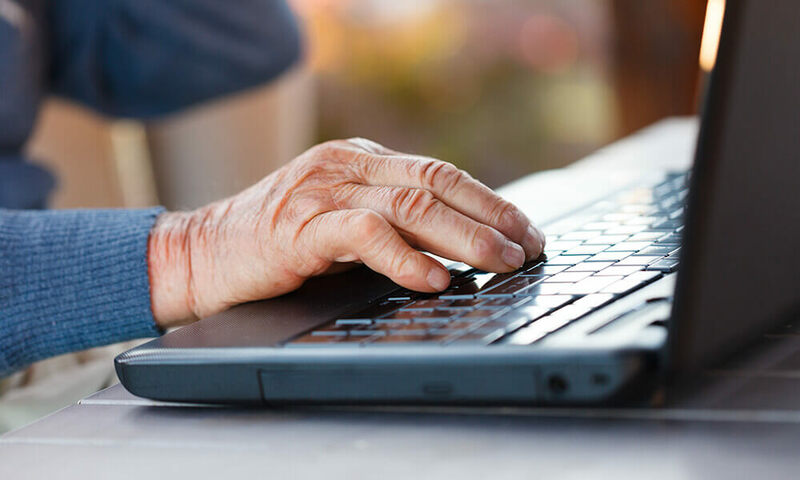 Our Williamsburg location is equipped with a full computer center for senior use and on-site wi-fi.